When you run into problems with your HVAC, plumbing, or electrical system, it can cause a big inconvenience to you and your entire family. Avoid experiencing these issues by scheduling services with Axberg. Our team of highly trained plumbers, HVAC contractors, and electricians in Machesney Park are equipped and ready to handle any problem you’re faced with. Give us a call today! For more information on our plumbing, electrical, and HVAC services in Machesney Park and the surrounding areas, give us a call now at (815) 873-6003 or contact us online! During the hot summer months in Illinois, the last thing you want to be faced with is a broken air conditioning system and the same for your furnace in the winter. If your HVAC system breaks down or starts to experience problems, you can trust our HVAC contractors to get the job done. Depending on what’s wrong with your system, it may be more beneficial and cost effective for you to replace the unit instead. At Axberg, we offer both HVAC installation and replacement to those in Machesney Park who are ready to kick their old unit to the curb and trade it in for a newer, more efficient model. The best way to keep your HVAC system in the best shape possible and avoid breakdowns is by scheduling annual HVAC maintenance in the spring months before summer hits and in the fall before winter comes around. We offer extensive HVAC tune-up services that will keep your system in great shape all year round. To schedule Machesney Park HVAC repair or any other HVAC services, contact Axberg today! Dealing with plumbing problems can be a big inconvenience for you and your family. When you run into any problem with your plumbing, you can trust our team to have it repaired in no time. To learn more about our plumbing services in Machesney Park, give us a call now at (815) 873-6003! When temperatures drop in the winter and snow starts to fall, it’s no secret that Illinois gets very cold very fast. A great way to prepare your furnace to heat your home during these months is scheduling furnace maintenance. We recommend scheduling this service in the fall, so your system is ready when you need it to be in the winter. If you do end up running into problems with your furnace, we also offer furnace repair in Machesney Park. Our highly skilled technicians are able to properly diagnose your problem, suggest necessary solutions, and repair your system. If you would rather replace your broken furnace instead, we can take care of that as well. To schedule Machesney Park furnace repair or any other furnace services, give us a call at (815) 873-6003 today! Unfortunately, you’re probably not a stranger to electrical problems. We understand how common and annoying these problems can be, and that’s why we offer 24-hour electrical repair in Machesney Park. Don’t suffer without electricity for longer than you have to. Give Axberg a call as soon as possible and we’ll send out one of our highly trained electricians to repair your problem. For more information on our electricians in Machesney Park and the services we offer, contact us online now! Axberg is pleased to offer regular service Monday through Saturday between 7 a.m. and 5 p.m. To better serve you, we offer 24-hour emergency service seven days a week. 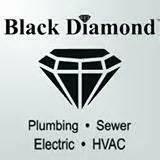 As a division of Black Diamond Plumbing & Mechanical, we’re the company to call for all of your HVAC, plumbing, and electrical needs. The technician did a great job. However, very pricey. Would probably shop around the next time we need service. My call was taken by Pat who was courteous and knowledgeable - she explained the special pricing for Sunday very well and it seemed only fair as we were calling someone out to help us with our own particular crisis on Easter Sunday. Mark was prompt in arriving & courteous. He set us at ease about taking him away from his family on a holiday and set about fixing our problem quickly and efficiently. Thank you all for helping us. Ross was here very quickly, only a few hours after our call for no heat. He told us what was wrong and had what was needed to fix it with him in the vehicle. Mark was very informative of explaining in detail each step he took to trouble shoot and correct my daughter's furnace. His knowledge and experience was well appreciated. My boiler stopped working. When I got home the temperature was below 60 degrees. Called Axberg a and they had a serviceman, Mark, out in a couple hours. He diagnosed the problem and had it fixed quickly. Wonderful service! This company is the best in the area!! THE BEST . SAID E.Z. FIX,DID IT. WILL CALL AGAIN! HE FIX ED SOMTHING LEFT UNDUN. GOOD MAN ! Service was there when needed. Jason was an awesome plumber. He did a great job and he knew what he was doing. I would recommend him to others. Our service tech was great, he explained what problems we could face with what was starting to malfunction, answered all our questions patiently and was up front with the cost involved in solving the issue before the problem became a major issue. Good service,work done & was very careful of my floors. Courteous, got right to work. Install kitchen faucet and new tub/shower valve.